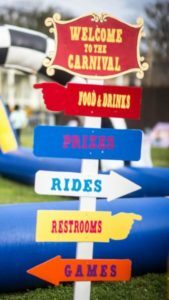 Backyard Carnivals - Why Everyone Is Having Them. Backyard Carnivals For The Kids; Why Everyone Is Having Them. Kids’ parties are fun when the kids can play around and have some fun. Carnival-themed parties come with all the fun kids would like for such parties. They get to play all sorts of carnival games and enjoy the thrill as a group. For the parents, it makes it easier to watch over the kids as opposed to what would happen if you had to keep up with them in a mall or a theme park. Think about your own experiences growing up; which ones stuck with you the most? Themed parties of this kind are much more memorable to the kids because they stand out. The costumes, games and the completely upbeat atmosphere elevate the status of the party, which effectively cements it as a day to remember for the kids. Children want something unique for their birthday, something that beats so-and-so’s birthday. Having the same indoor party year in year out doesn’t cut it with them, and they are sure to enjoy it to the fullest when they do get their carnival party. You put in a lot of work to keep your lawn looking glorious and the calm afternoons you spend there are amazing but it wouldn’t hurt to have other people over to enjoy it with you. An outdoor party for the kids is a perfect excuse to flaunt the lawn a little. 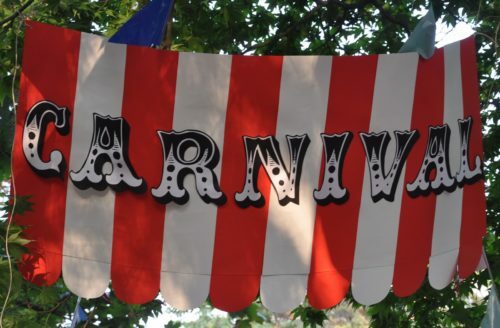 You are not alone if you found yourself stuck with a pirate-themed party or a carnival party because you suggested having their next birthday outdoors. Your needs fly out the window at the mention of an outdoor party and the small affair you had in mind blows up to a festival of sorts. However, it’s all worth it if you get to whip out that delicious recipe for grilled pork or that party trick you’re known for. It might take a lot of work to get done but truth be told, parents love to have these kinds of parties for their kids. There is a lot to try out and if you haven’t hosted one you are probably itching to. All the cool crafts and fun projects you have seen on the internet and magazines can be applied to give your kids the best birthday ever. There is a feeling of accomplishment that comes with pulling a successful themed party for the kids. The ecstasy of it will spur the busiest parent to score maximum points for the best themed birthday. It’s always a time to look like a superhero for the kids. The best thing about organizing the party yourself is you can change anything on the budget that seems too costly. If you are a master planner, you can end up spending as little as $5 per person. A lot of the decorations and props can be handmade and once you have that figured out you’ve cut the budget quite substantially. All you have to do is get creative and look up some ways on how to save money online and you have an awesome party at manageable budget. Having a bunch of kids running around in the house is an absolute no for many parents. Aside from them turning the place upside down, they are also likely to get hurt knocking on the fixtures and such. Hosting them outside is a welcome idea that solves many problems, one of them being clean up. With an outdoor party, the kids can do all they want and you don’t have to worry about your new rags or bright curtains. All you will have to do is pick up the party cups and wrappings lying around and you are done. The typical parent has so many commitments today that they hardly have the time to enjoy some fun and games with the kids. This is the perfect excuse to spend time with the kids doing their kinds of activities. You don’t need to hire entertainers to liven up the party; get in the clown suit and party with the kids. It’s also a good time for the kids’ favorite uncle to perform some low-tier magic tricks just to have fun with them. Time with family is one of the main reasons such parties will never go out of style. Nothing is more rewarding than watching the kids play and seeing their delight in marking such days with their parents. Children will always go for the most exciting option for a party no matter what special occasion it is. 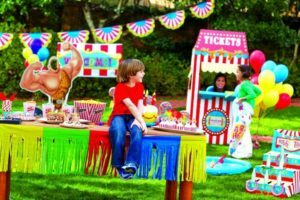 Carnivals are a big hit with them and you can be sure you haven’t gone to your last carnival themed birthday party. It is all about recreating their dreams and they have a stockpile of those when it comes to parties. As for the parents, the whole idea can either be a fun experience to enjoy with the kids or a nightmare to plan or both. Either way, the party has to go on and you had better not forget the cotton candy.